Monitoring your baby’s development and making sure that everything is on track is so important during your pregnancy. With our latest software, we can securely push your scanned images to your phone so you can then share your pictures with anyone you like. Wendover offers patients the highest quality ultrasound examinations possible using state-of-the-art equipment with 3D/4D capabilities. Our Ultrasound Department is accredited by the American Institute of Ultrasound Medicine. 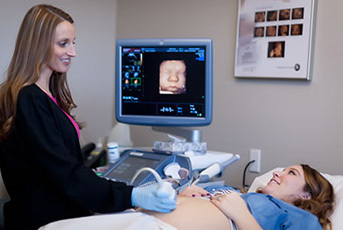 All of our sonographers are ARDMS certified in OB/GYN.